The Starfall Home Membership, from Starfall Education Foundation: Our Review | My Journeys Through Life . . . Herding Cats In New Mexico! I was very interested in this review of The Starfall Home Membership, because even though the grade levels included are considerably younger than “Mr. loquacious” and “The Puzzler”, They both really need help in the areas included. At the same time, “Mr. Locquatious” was not at all happy about the grade levels listed. I’ll talk more about that later. 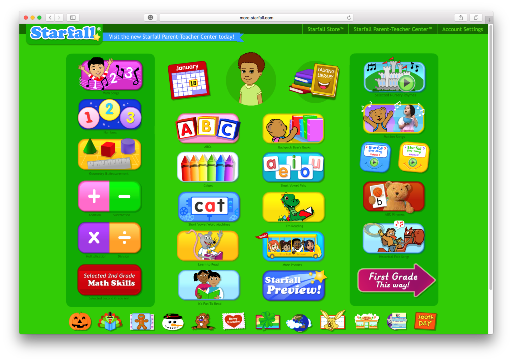 This online, fun learning program is from Starfall Education Foundation, and we were given a one year subscription to The Starfall Home Membership. The Starfall Home Membership can be used by multiple people, and so I had my twins using it for the purpose of this review. I will, now that the review period is over, continue with them using it, along with letting “The Batman” use it. With his disabilities, he is probably at the same level as “The Puzzler” is when it comes to math. One of the things I like the best about this program is that I was able to pretty much let “Mr. loquacious” and “The Puzzler” sit down at the computer and just go! I love that something can be that easy to get going with. There is, however, a Complete Guide to using Starfall. This will show you skills appropriate for each grade level, as well as how they will go along with the mobile app activities. Oh, did I forget to mention that in addition to the computer website, you can use The Starfall Home Membership on your using an Android, Kindle or iOS device. We did just use the Computer for this review, because I don’t have a very good tablet, and I don’t let my kids use my phone, but the computer version worked well for us. Both boys were easily able to find their way around without my help, and both concentrated on the math section. “Mr. loquacious” needs review, and “The Puzzler” is developmentally delayed enough that I need to have him working in the first grade section. Here is “The Puzzler” working in one of the math sections . . .
And “Mr. loquacious” in another math area . . . There is a section with songs: counting songs, alphabet songs, and just fun songs. There are also books which the child can read, or if need be, you can read to the child. They go from early, beginning reading to more advanced readers as the child progresses. Earlier I mentioned that “Mr. loquacious” was not happy about having to do “second grade.” I did need to talk him into not looking at the “grade” level, and just think of it as level 2. He became (grudgingly) willing to give it a try, but I kind of wish that it would be labeled by level rather than grade. The Starfall Home membership from Starfall Education Foundation is aligned with The Common Core, if that is important to you. 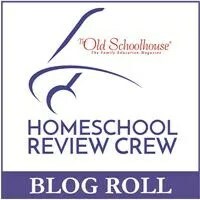 My boys and I absolutely recommend The Starfall Home membership to you! It is a fun, educational addition to the day, and for my boys, it gets them around the whole “one hour per day” for video games. To check out 59 other fair and honest reviews of The Starfall Home Membership, please click on the banner below.